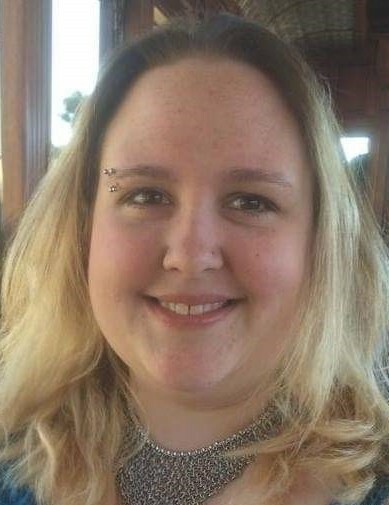 Amanda Nicholson, 33, of Canyon passed away on Sunday, November 11, 2018. Services will be at 1:00 P.M. on Wednesday, November 14, 2018 at Brooks Chapel. Amanda was born on June 24, 1985 in Beaver, Oklahoma to Rick and Evelyn Davis Nicholson. She enjoyed crafts, crocheting, collecting salt and pepper shakers, and was an avid reader. She dearly loved her dog, Zara. Survivors include her parents, Rick and Evelyn Nicholson of Canyon; brother, Alan Nicholson of Austin; sister, Angela Sides and husband, Tanner and niece, Kenzie, all of Amarillo; grandmother, Marilyn Davis of Amarillo; an uncle, Albert Nicholson of Logan, OK; and many other family and friends. The family suggests memorials be to Panhandle Paws of Hope, PO Box 2525, Amarillo, Texas 79105 or to a charity of your choice.